Initially, I was drawn to the package design because it cleanly depicts the product in an attractive, savory way. With the calorie count (110-170), protein amount (14-16 grams), cholesterol (zero) and trans fat (zero) clearly displayed on the front in a big font, I didn’t have to go searching for these stats on the back without my glasses on! Not only that, the package said how long it would take to prepare (5-10 minutes) right on the front which was very useful considering I was looking for the quickest and easiest way to eat vegan at home without messing up the whole kitchen (in my usual cooking style). All of these items are made from non-genetically engineered soybeans and wheat. Upon opening the package, these cutlet-wanna-be’s were shaped pretty close to the “real” thing. There were 4 in the package and even though the bag said that this would be 3 servings, I think it really only serves 2 reasonably hungry people. 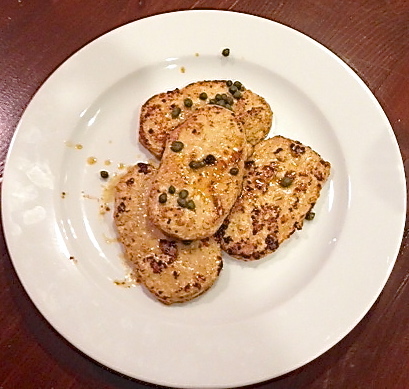 Choosing to follow the serving suggestion in making it “piccata,” I was excited to use a couple of the many lemons that are just falling off my tree begging to be consumed. So, with lemon juice, capers, white wine, and Earth’s Balance, I whipped up the piccata sauce recommended and sprinkled some parsley on top. Couldn’t be easier! Review: The final dish was really very good—palatable and delicious tasting. 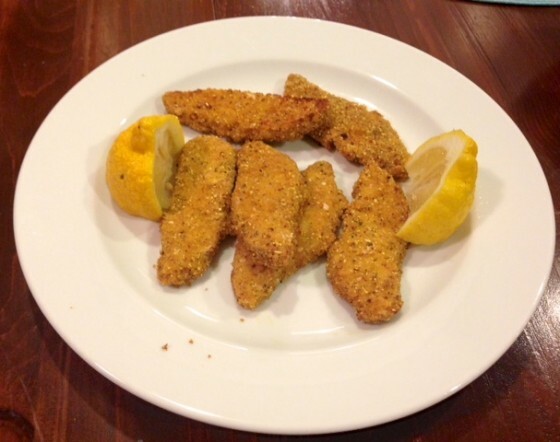 Since the “cutlets” don’t have a strong flavor on their own, the choice of sauce will determine the outcome. I think this is a good thing because this allows you to make different sauces and change it up. The other serving suggestion on the bag is for a Chick’n Stir Fry which calls for cutting them into strips and adding various veggies and a nice stir-fry sauce. I would definitely try that and I can foresee a great result! 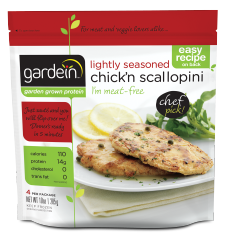 I would give this product another go around and make it part of my quick dinner repertoires. For many years, whenever I’ve been surrounded by people voraciously nibbling on buffalo wings, all I could think of was the little baby bird elbows and the pile of bones rising high on the plate. So real wings have never been that appealing to me, even when I was a carnivore. It always seemed like it was the sauce that kind of made the whole flavor punch anyway. I’ve made “cauliflower buffalo wings” which I know doesn’t make any sense whatsoever because cauliflowers don’t have anything resembling wings but I digress. 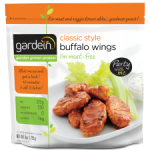 Click Here for the recipe for Cauliflower Buffalo Wings These Gardein Buffalo Wings have no wings either, looking a lot like nuggets that can be smothered with the sauce included, with your favorite barbecue sauce or used to dip on the side. For ease of speed, use their sauce! 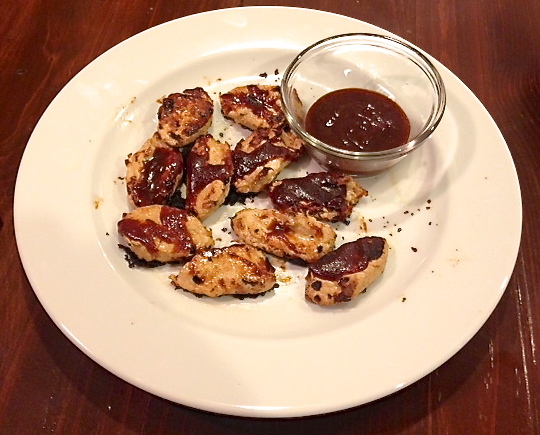 If you want to be creative, check out my Easy BBQ Sauce below. There are about 10 wings in the package and the key is not to overcook them. Other than finger food, they suggest putting them on pizza or using them in lettuce wraps. 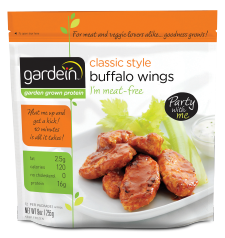 Review: A definitely great alternative to real wings, although I’m not sure carnivores will be as happy as vegans eating these. They tasted good with the sauce and plain without. 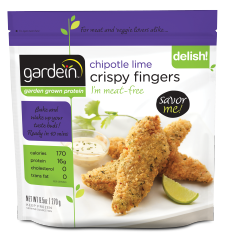 I would certainly recommend these for dinner or a snack. These “fingers” come 6 to a package and are already flavored with a spicy, tangy kick. There’s not much to do but heat them up and eat them up—so easy. I squirted some added lemon on top and served it as is. Review: Loved these! 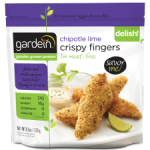 It doesn’t get any simpler and these fingers can be utilized in many ways…slice them and fill a burrito or cube them and put into a salad. Very versatile and tasty! 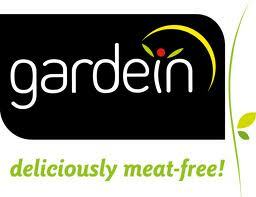 Yves Potvin, Founder and President of Gardein: About 25 years ago I had a dream that I thought could make the world a better place. The dream was simple: use the power of vegetables to create a healthy fast food. Looking back today, I don’t think I could have predicted just how many people were also looking for such a product. 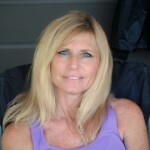 Ever since, it has been my life-long passion and pleasure bringing healthy, innovative and convenient plant based meat-like foods to people everywhere. 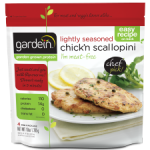 Gardein is certainly not for vegans only!! 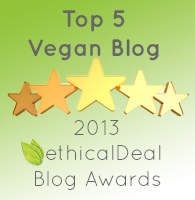 The more healthy options vegans have, the easier it will be for everyone to get into plant-based nutrition. In a medium saucepan, combine all of the ingredients. Bring to boil and then reduce to simmer. Continue to simmer on low, uncovered, stirring occasionally, for about an hour. 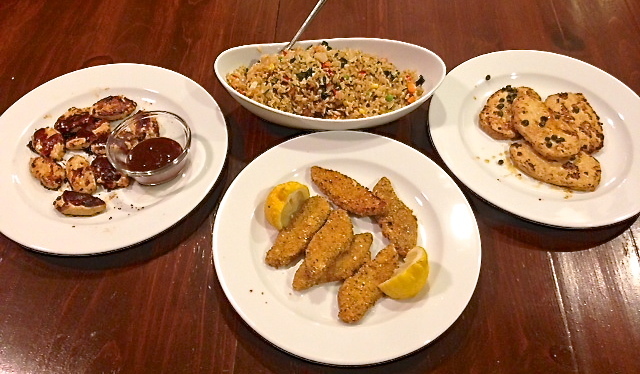 PS I served all three Gardein entrees at one meal for my husband and I to taste and compare. I made some Trader Joe’s Vegetable Fried Rice on the side. Thank you, Scott, for always being game in the Vegan American Princess kitchen!